Produced by Damien Mendis and Stuart Bradbury for Soulchild (www.soulchild.net). Mixed by Stuart Bradbury and Damien Mendis at Olympic Studios, London, England. Additional recording at Ghetto Recorders, Detroit, Michigan. Recorded at Space Station, Troy, Michigan. 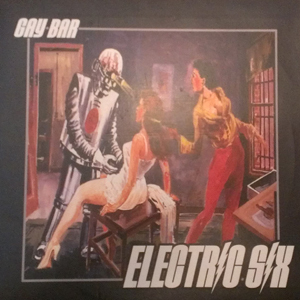 Produced and engineered by M.
Gay Bar published by Wall of Sound / Sony ATV. All rights reserved. Made in England. Living End published by Shimmy Disc.